The Lisserei is a modern calligraphy and design studio with a vision to produce minimally designed work that evokes beautiful memories and emotions. Embrace the beauty of imperfection in written words. Oh hi there. I would like to think that some form of serendipity has landed you here, that you, who like me, appreciate calligraphy, art or simply paper. Care to stay on to know the person behind all these scribbles above? 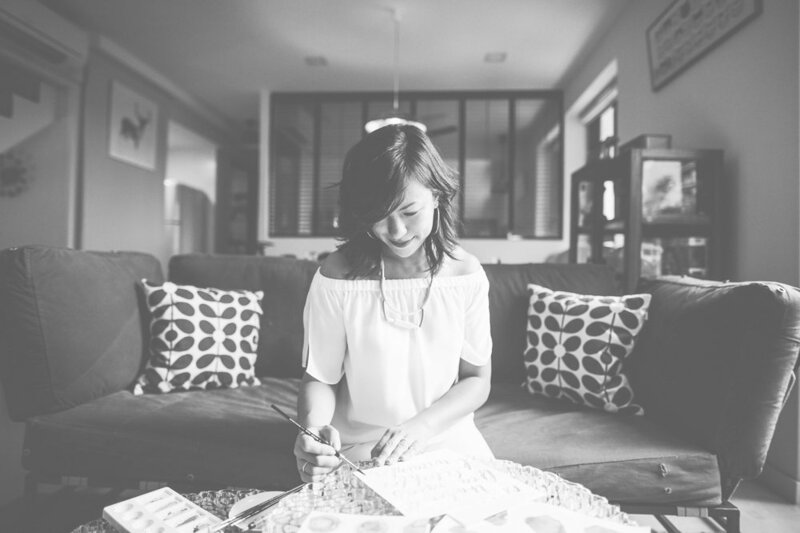 Read more about how I found my solace and passion in modern calligraphy in foreign land here. If you have a project that you would like to discuss, please get in touch with me with the form below. Or you can email me at elisse@thelisserei.com.